Exploring the Thai belief that the dead will come back to familiar places, Eternity looks at how death and memory are linked. The film examines three important stages in the relationship between Wit and his wife Koi. Eternity starts off with Wit returning to his family home in the country side, the film then proceeds to show his time with Koi, and eventually Koi’s life in later years. It is hard to watch Sivaroj Kongsakul’s Eternity and not to think of a film like Uncle Boonmee Who Can Recall His Past Lives. Though the story is vastly different, and not quite as successful as Apichatpong Weerasethakul’s film, both films offer interesting takes on the themes of spirits returning to cherished places. Though a deeply moving film, it could have used far better pacing. It was great that Kongsakul provides a meditative tone to the film, but some scenes are drawn out far too long. At times the film treads a line between meditative and dull. Although it never veers into the latter there are times when the pacing brings it close. 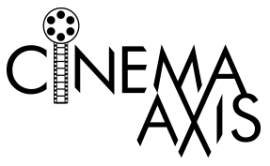 Fortunately, there are several scenes, such as when Wit and Koi are shown in their courting phase, that help to bring the film back from the brink. Though thought provoking, the pacing issues in Eternity causes the film to merely be a decent film instead of the truly exceptional film it had the potential to be. 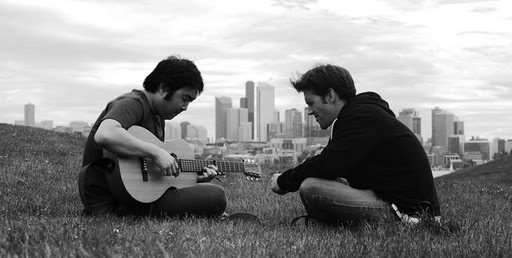 In this romantic comedy, a musician, Goh (Goh Nakamura), is hired to teach an actor, Danny Turner (Chadd Stoops), how to play the guitar. Danny is researching a film role in which he plays a “sad sack” musician and only has a week to learn everything he needs to know. Goh agrees to let Danny come along on a road trip in which he can see Goh in action. Along the way the two men learn about each other and their respective love lives. Unfortunately for Goh, he has hit a bit of a dry spell in the romance department. Things get even more complicated for Goh when an old high school crush, Rachel (Lynn Chen), shows up at one of his shows. Surrogate Valentine is one of those charming films that really sneaks up on the audience. Although the plot may seem similar to other films of this nature, it evokes an undeniable joy. In order to give the film an authentic feel, director Dave Boyle perfectly plays to his cast’s strengths. Goh Nakamura is wonderful in the lead role. Although he is essentially playing an exaggerated version of himself, for an acting debut, he really sells the role of musician inept in love. There are several humorously awkward moments between Goh and Rachel. These scenes never come off as forced but, instead, ring emotionally true. Chadd Stoops also does a good job as Danny. Not only does Stoops’ manage to keep the character, which could have become annoying really fast, loveable but he also provides the right amount of levity. Without spoiling the ending, it was nice to see that Dave Boyle avoided with going the typical “Hollywood” ending in favour of a more realistic approach. Surrogate Valentine will not only leave a huge smile on your face, but it will also have you immediately seeking out Goh Nakamura’s music. Set amidst a beautiful Vietnam backdrop, Pearls of the Far East is a series of vignettes that feature tales of forbidden and love lost. Covering seven women of differing backgrounds and generations, the film displays how the pain of love transcends age and circumstances. The film starts by focusing on the love between childhood friends and evolves into focusing on women in the twilight years of their life. Pearls of the Far East is a visually effective debut film by director Cuong Ngo. The cinematography in each vignette is absolutely stunning. The colours and the overall texture of the Vietnamese landscape pops off the screen. Although the film spans different generations, the two standout segments include the aging fashion designer who has been married six times and the story of the actress who longs for the adoration of her former fans. In fact all the best stories come in the latter half when the film shines a light on women of an older age. This is in part because this is where the film features the most dialogue and well rounded stories. Not to mention the acting in these vignette are outstanding, especially the one featuring legendary actress Kieu Chinh (The Joy Luck Club, China Beach), who plays the actress fighting to reclaim past glory. The segments that involve women in their late teens and early to mid twenties do not have the same resonance. Though these particular vignettes feature a whole lot of eye-candy for female viewers, there is not enough substance to always sustain a full segment. This is most noticeable in the Blue Lagoon-style story in which a young woman’s sexual awakening occurs when stranded on a deserted land with her modelesque looking companion. The film stretches out the will they/won’t they? for far too long, which takes away greatly from the impact of the final reveal. Although the stories could have been stronger in the earlier segments, the latter half of the film and the gorgeous visuals that run throughout make Pearls of the Far East a solid debut from a promising young director.